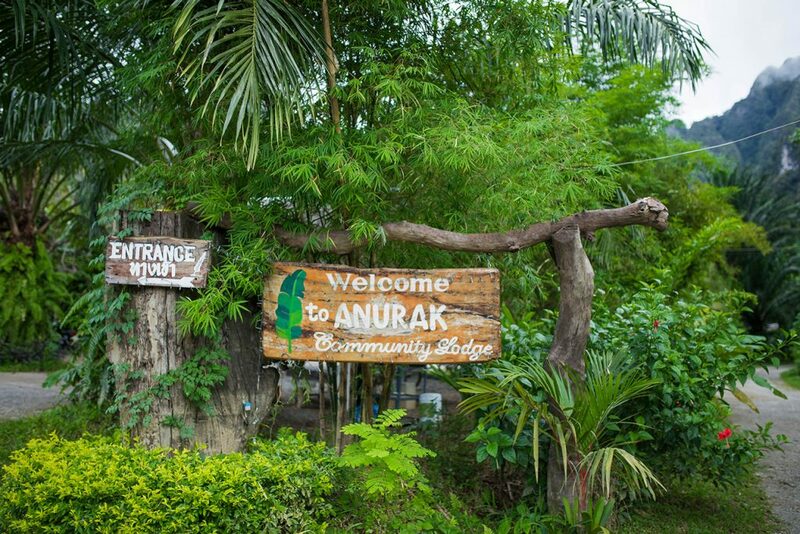 Anurak Community Lodge’s Sustainability Management Plan aims to conserve resources, champion and preserve natural habitats and communities and prevent pollution. Our intention is to adopt best practices and build a culture that strives to improve and sustain positive environmental results. Our sustainability program focuses on four key areas: natural environment, socioeconomics, lodge infrastructure, and guests and rooms. At Anurak Lodge we focus on sustainable interaction with the natural surroundings through the implementation of programs that help to improve the environment. For example, we help protect the flora and fauna in and around our property and train our tour guides to spread awareness of sustainability and conservation practices within local communities. We also team up with wildlife conservation organizations to organize tours and events that help support their efforts to protect endangered species. As for our guests, we always aim to offer them tours and activities geared towards interaction with Khao Sok’s pristine natural environment and its local communities. 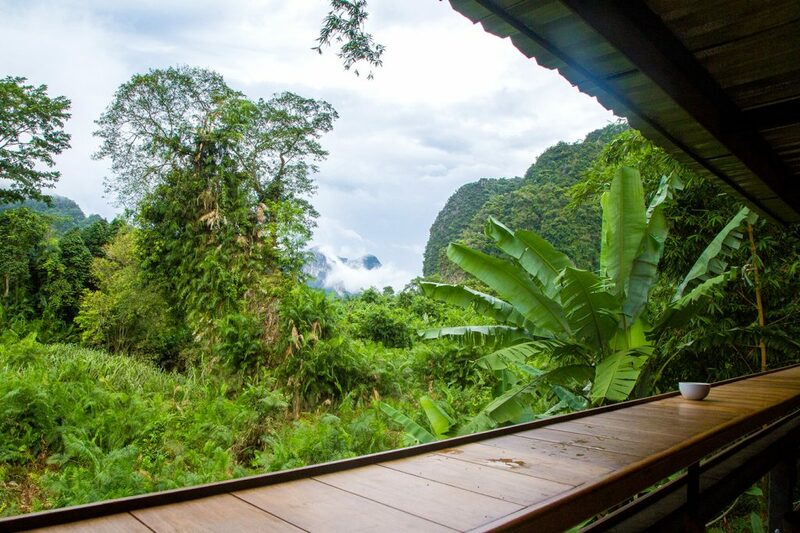 We also encourage guests to do their own exploring with activities like our Anurak Trail – a one-hour self-hike around Anurak Lodge – and also provide quality bicycles free-of- charge so that guests can explore the area and visit local villages in their own time. In addition, Anurak Lodge has a growing library of information about the flora and fauna of Thailand that guests can make use of. This concerns the interaction of Anurak Lodge with the surrounding communities and the way that we can generate benefits by creating jobs in the community and supporting local businesses. In fact most of our employees already come from the area, which helps to stimulate the local economy. We also provide ongoing training to our local staff, and over time this helps to build local knowledge and capacity within the communities. We also make sure that all our food, crafts and tourism services are sourced from local small businesses, which helps to generate income and maintain economic stability. This is about internal processes of waste management at Anurak Lodge, especially within the areas of water, energy saving, and the type of products that we use – such as organic, biodegradable and environmentally friendly products. Anurak Lodge prides itself in the fact that it is fully compliant with all health and safety regulations currently in force. We also go above and beyond these safeguards to ensure the safety and wellbeing of our guess, staff and visitors. In addition, we recycle as much as possible and strive to reduce our emissions of greenhouse gasses by planning our use of transportation. We also do our best to avoid disposable items such as plastic, styrofoam, cardboard plates and cups, paper serviettes, plastic cutlery, etc. Although we are not paperless, we are also proactive in reducing our paper usage and recycle where possible. All our menus and paper needs rely on recycled material. We have also established a garden with organically grown vegetables, spices and fruit, and we try to minimize food wastage through portion control, self-service and appropriate food storage, such reusable plastic containers, rather than wrapping items in plastic film. We also avoid or minimize single-serving products, such as sugars, butters, condiments cereals, biscuits, sweets, milk, salt, pepper and coffee/tea. In addition we donate all our worn towels, sheets and tablecloths to charity, while badly damaged towels and sheets are converted into cleaning rags. This is about creating awareness and inviting guests to participate in our Anurak Lodge sustainability programs, as well as reducing water and energy in our guest rooms. We encourage our guests to take full advantage of the natural environment by not using the air-conditioning in the room at night. This, of course, depends on the season, however, all our rooms have ceiling fans and mosquito nets that cover the whole bed, as well as sliding screen doors to the balcony that can be left open at night in order to ventilate the room. We also encourage staff and guests to save water wherever possible and to this effect our rooms have no bathtubs. Notifications are also placed in our rooms requesting that guests use water sparingly. Guests are also offered the option not to refresh their towels and bedding after only one night’s use in order to save water and energy. Complementary in-room drinking water is also provided in refillable glass water bottles and we also have a water dispenser that provides free, clean drinking water. Guests can also take the opportunity to offset their carbon footprint by joining our tree reforestation program.